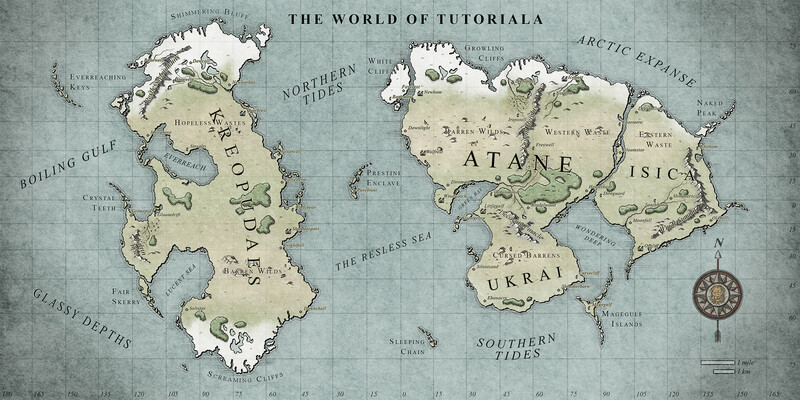 In this guide, we make a map for your fantasy world. Even though we are making a fantasy map, we will create an earth like world. To add believablility to our map, we will figure out why the continents are shaped the way they are, how climate works, and how we can place realistic details such as mountain ranges, volcanoes, and rivers in the right places. The earth’s crust lies upon it’s mantle of hot stone. Underneath the mantle is an outer core of liquid metal. The inner core is a solid ball of metal. Even though the inner core is very hot, the pressure keeps it from melting. The crust of our earth is like a cracked egg shell. The cracked parts of the earth are called tectonic plates. These slowly move around on top of the earth’s mantle. Over the course of millions of years, continents have been colliding and dividing. About 250 million years ago, two great continents collided, creating the supercontinent called Pangea. After about 50 million years, Pangea started to break apart. It slowly created the continents we have today. If you look at our worlds map, you can see that some continents such as South America and Africa, seem to fit together like a jigsaw puzzle. 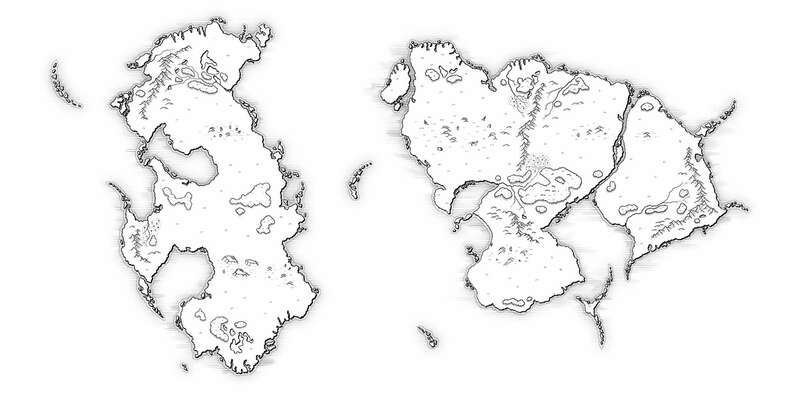 Start drawing a supercontinent on your custom map. 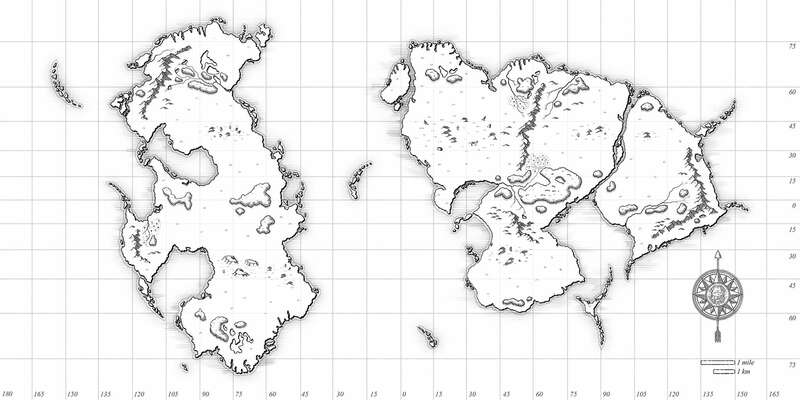 Make sure the landmass covers about one third to a quarter of the fantasy map. Sketch in five to ten large tectonic plates and decide which way the plates are moving. Next, start splitting your supercontinent up. This is easily done in design program. If you are using pen and paper, grab a piece of paper in another color. 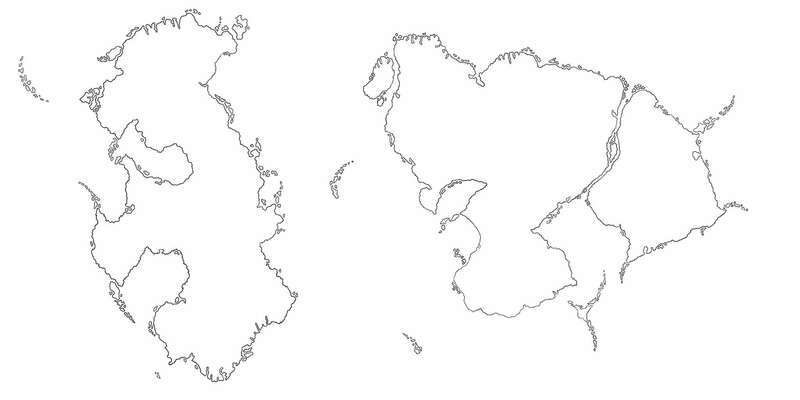 Roughly cut your piece of paper up in the shape of your continents, and move them according to your tectonic plate. When two of the tectonic plates collide, one slides underneath the other one, pushing the other one upwards. This creates mountains. Lets continue working on our fantasy map. The area’s where tectonic plates collide will have mountain ranges. Lets take a different color, like red, and roughly sketch in where the collisions take place. Take another color, such as blue, and start roughly sketching in where tectonic plates would divert from each other. When two plates collide, magma from the earth’s mantle can find a way up through the cracks in the plate edges. The magma pushes outwards with great force, causing an eruption. When the plates continue to move, magma can find its way through the old weak spots where a volcano was previously active. The volcano will erupt once more, and the lava will add another coat of rock on top, causing the volcano to grow in size. Volcanic islands come to exists, when magma flows upwards when two tectonic plates move away from each other. The magma is cooled down by the water of the oceans, creating a layer of volcanic rock. This continues to happen layer upon layer, until a volcanic island pops up above the surface of the ocean. Not all volcanoes come to exist at the edge of a tectonic plate. The Islands of Hawaii for example, are a group of islands formed in the middle of the oceanic plate. These type of islands are very rare, and happen around places called hotspots. Scientists are not completely sure how hotspots come to exist. One theory suggests it happens when magma travels through the earth’s mantle, forming a blob of magma under the earth’s crust. Over the course of millions of years, the volcano moves together with the tectonic plate. The hotspot however stays roughly in the same location. This creates new volcanic islands, making an island chain. 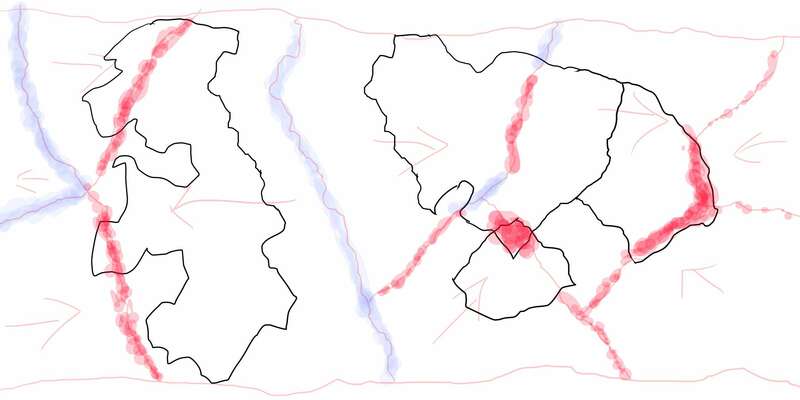 When drawing tectonic plates on your map, add some volcanic island chains around the edges. Also add three or four island chains created by tectonic hotspots. Now that we know the location and shape for our continents, and we know where our mountains and islands chains will be. It is time to add some details. The force of the water changes the way the coasts of continents look. This is called coastal erosion. The constant force of the water, slowly chips away at the coasts. The sediments are moved by the sea and may wash up somewhere else. For now it is enough to know that our coastlines are not perfectly straight. The continents continents may look like puzzle pieces that can fit together, but erosion jagged up the edges. 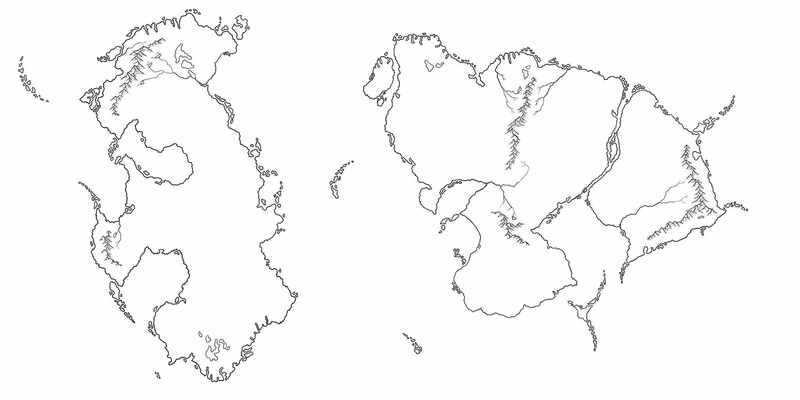 Trace the continents you have drawn in, but now roughen up the coast lines a little to simulate erosion. We already roughly sketched in where our mountains will be. Now it is time to add them. A separate tutorial on drawing mountains will be added later. For now I can recommend Questing Beasts youtube tutorial on how to draw mountains for cartographers. The most important factor in our climate system is the sun. In the movie Star Wars, you can see Luke Skywalker standing on his planet Tatooine, watching two suns set. With the discovery of the planet Kepler-16b, scientists have confirmed that there are planets orbiting two stars. So Tatooine like worlds may be possible. Two suns would complicate the climate system of our fantasy world by quite a bit. That is why we will stick with one sun for this guide. We all know that our earth spins around an axis with the north pole at the top, and the south pole at the bottom. And we also know that the earth revolves around the sun. The angle at which the earth revolves around its axis, and the angle at which the earth revolves around the sun are different from each other. While the earth revolves around the sun, different parts of the earth catch more sunlight.. This causes the seasons of the year. The places around the equator, receive large amounts of sunlight all year round. Causing them to be the warmer places on earth. A little bit further from the equator, we find the tropical zones. They get more or less sunlight depending of the time of the year. So they are more affected by the seasons. However, since they are so close to the equator, they still catch a lot of sunlight, making them warm places on earth. Next to the tropical zones, we have the temperate zones. These are much more affected by the seasons. They can go from, very warm in the summer, to very cold in the winter. 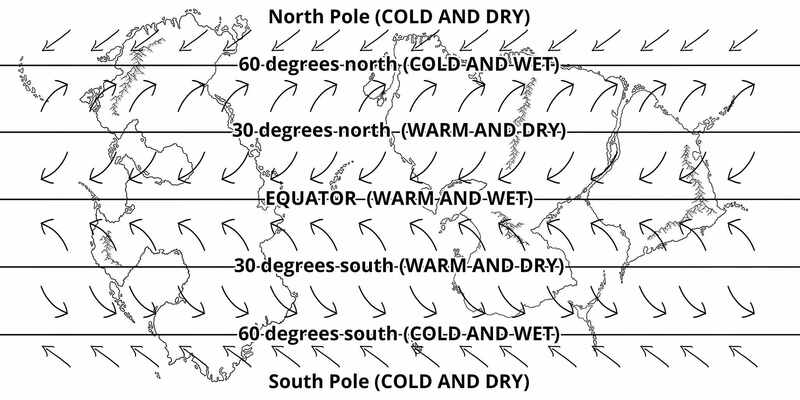 Next to the temperate zones, we have the top and the bottom of our axis, the polar regions or also known as the arctic and antarctic circle. These receive the least amount of sunlight, causing it to be cold all year around. Wind also plays a big role our climate system. The weather system however is very complicated. For now it is enough to know that there are six donut shaped weather cells that surround our globe. If you want to know more details, I suggest that you do some searching on the names of the different weather cells. The cells are called Hadley Cells, Ferrel Cells, and Polar Cells. Around the equator, the weather is warm and wet. A perfect area for rain forests. 30 degrees north and south of the equator, the weather is warm and dry. A perfect area for deserts. 60 degrees north and south of the equator, the weather is colder and wet. At the north and south pole, the weather is cold and dry. If Antarctica would not be covered by ice, it would be as dry as the Sahara. The wind in these weather cells follow a certain pattern. This can cause certain coastlines to be warmer or colder than they should be according to their latitude. 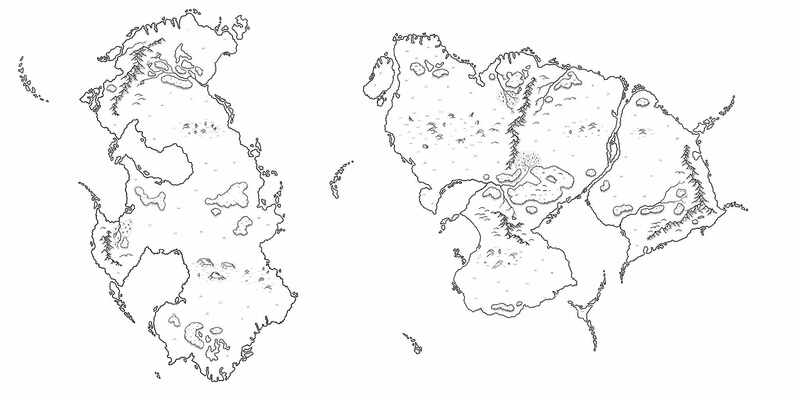 Start imagining what area’s of your fantasy world map would have what type of climate. During the ice age, glacial ice covered much of the land near the poles. Over thousands of years, the glacial ice moved back and forward over the lands. Melting and freezing over again. Area’s with high altitude near the coasts, close to the poles, were affected by this glacial ice a lot. Creating sharp and steep narrow inlets. On our earth, we find many fjords in Alaska, Greenland, and Norway on the northern hemisphere. But also in New Zealand, Southern Chili, and Antarctica on the southern hemisphere. When you are drawing your custom map, add some fjords to make your map more believable. Wind also plays a big role in the forming of rivers. When clouds hit a mountain range, they will cool down and start releasing their rain. This is why rivers mostly start on the windy side of an area with high altitude. Now that we know our wind patterns and where our mountains are, we can start imagining the area’s where rivers may form. When drawing our custom map, we will draw in the world’s biggest rivers. Comparable to the Mississippi river or the Amazon river. When we make a more detailed map of continents or even lands, we can add in smaller streams and rivers. The rivers start out as thin streams, slowly making their way towards the ocean. The direction the way a river curves is affected by wind, altitude, and the type of sediment. Rivers do not split into new streams. However other small streams might join the river as it move downwards. The only exception to the splitting rules is when a river forms a delta. The river carries sediment with it, creating a new landmass at the coastline. This happens time after time, creating a delta, with land poking outwards. The world’s greatest lakes were created at the end of the ice age. The melt water of the ice sheets created enormous lakes. Another way for lakes to form is the same way that rivers start. Rain hits the side of a mountain, the water washes down. Because of the altitude difference, waterfalls may appear. The rain collects into a pool, creating a lake. Other lakes may be caused by meteors hitting the earth, creating a dent. Or old volcanoes, filling up with water. Now that we have a rough idea on how the climate works on our custom map, we can start adding in detailed terrain. Keep in mind that area’s near lakes and rivers will have more vegetation than dry area’s in land. Start drawing in your forests, deserts, grasslands, and swamps. 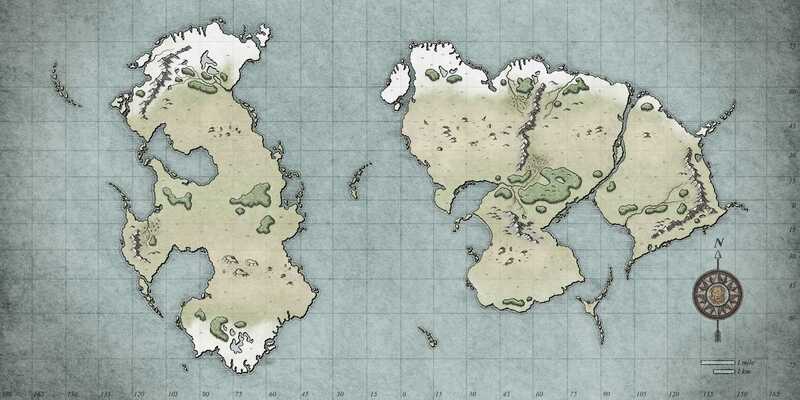 A separate tutorial will be added on how to draw terrain details such as forests, grassland, deserts, and swamps. For now I highly recommend the amazing tutorials of WASD20. The next part of the tutorial is set in less rules. Try to work on your own style. When you are still trying to find your style, I advise you to be inspired by cartographers that you like. Imitate the style of this map, use the following. 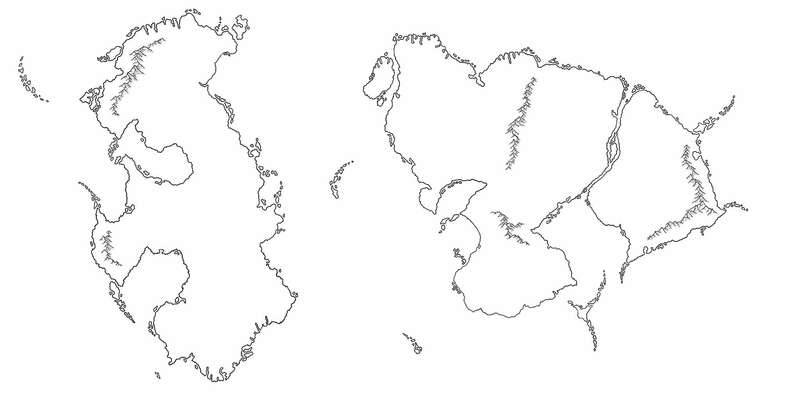 Start drawing a thick black line on the south east sides of your landmasses. This will give them a 3D effect. Next start drawing in a thin outline along your coast. 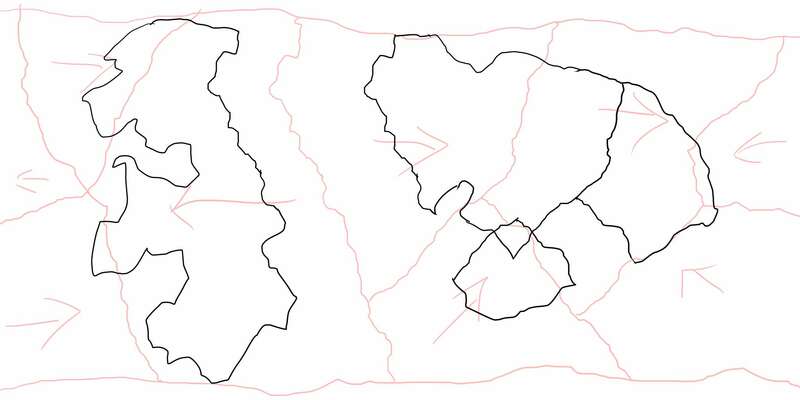 Last, add many small horizontal lines coming out of your landmass. Now we will add some mapping elements, such as a longitude and latitude grid, a compass rose, and a scale. For these I let myself be inspired by old real life world maps. Some of my favorite cartographers from history are the father and son, Willem and Joan Bleau. Search for their maps for a great source of inspiration. Add this stage I will also add some shading to the right sides of my mountains, hills and forests. 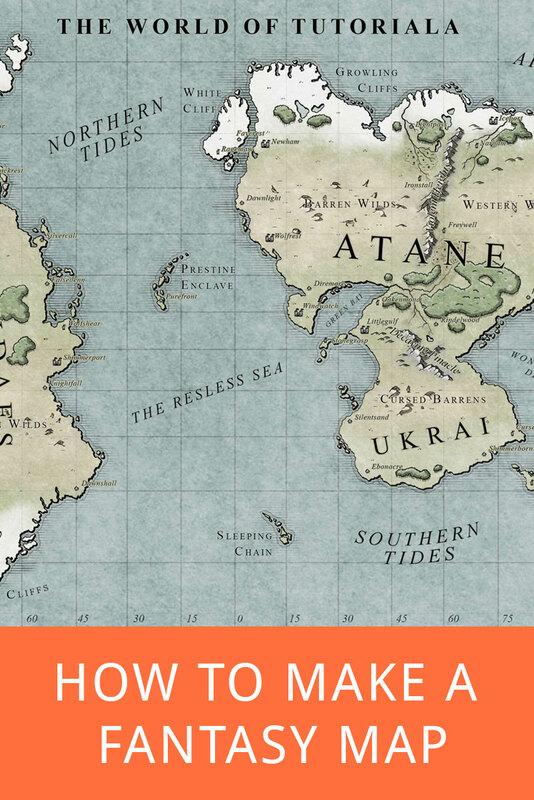 The colors of your map play a big role in your fantasy world/story/role playing campaign. Think to yourself, what is will be the general mood. If it is going to be a highly magical story, you might want to use some purples and blues. Or maybe you are going for dark story, featuring the undead, use grey tones. When it is going to be a story featuring devils and demons, use hellish colors like reds and orange. Maybe you want to leave mood open to interpretation by your readers/players. Then it is a good idea to keep it black and white like an inked map. For this map, I imagined a story set in world similar to 17th century Europe but with the classic fantasy races. The western continent had just been discovered about 100 years ago, and is now being explored and colonized. I hope the colors portray a mood of adventure and curiosity. The final touch to bring your fantasy world alive, is adding labels. This is easiest done in a design program. I will add a separate tutorial for hand drawn labels another time. For this map I used the Times New Roman font. There are many different styles of labeling in the world of cartography. The most important rule is, legibility. Make your labels easy to read. Oceans, sea’s, and continent labels: All Caps, Loose tracking (much space between individual characters). Deserts, cliffs, and island chains labels: Small Caps, Start with a capital, Loose tracking. Mountains chain labels: Italic Bold, Tight tracking. Cities, villages, and fortress labels: Italic, Tight tracking. For all the labels, I added a small stroke on the outside, in the color of the background. 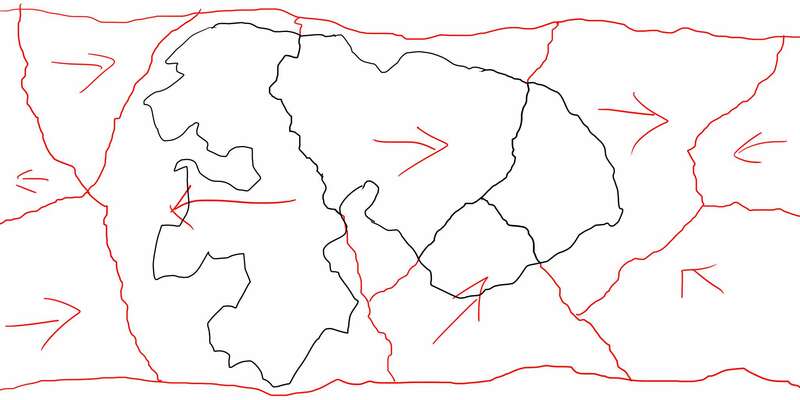 When you are labeling an area such as a continent or a sea, try to make it fit about 2/3 the width of the area. You can do this by increasing the font size, but also with tracking, adding space between individual characters. When you are labeling places, put them on the top right of your icon. 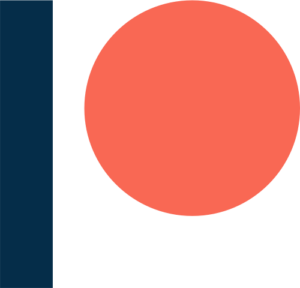 The exception is, when labels would overlap or seem to form one word, then you can move the label in a way that increases legibility. Do you use Pinterest? You can support me by Pinning this picture! Next story How to play tabletop roleplaying games like Dungeons and Dragons online?